Ahmed Salah said it well – activism is activity. The Egyptian revolution didn’t fail, the Egyptian political process post-revolution failed – in Egypt. Why? The political process – the infrastructure, the institutions, the constitution or the lack thereof – failed. Good institutions, specifically a viable constitution, did not/does not exist in Egypt. It does exist in Salah’s newfound country – the United States. Egypt is different from the United States. Or the United States (a wealthy nation) is different from Egypt (a non-wealthy nation). In the United States we do have the political infrastructure – both the institutions and the American Constitution. What’s wrong? We’ve got the wrong people leading these institutions. And worse, we’ve got the wrong people appointed for life, interpreting how these institutions operate (e.g. the John Roberts–led, religiously minded Supreme Court). Put differently, we have the structure, just not the leaders. Even if Citizens United exists – throwing all sorts of funding into corrupting the process, as Salah said – just have a constitutional amendment not allowing any politician in any state, on any level, to contribute more than 100 dollars to a campaign. Now this won’t work because the religious, big-business, pro-state-when-it suits-the-black-robed members Supreme Court will strike down this constitutional amendment as unconstitutional, won’t it? Or will they? As long as we don’t get another Scalia it won’t. Or will it? The point is that this would mean the Supreme Court is really flouting the representational democratic process. And when all those voting folks get together to pass a constitutional memory on 27 so far, would this least democratic institution within the representational democracy do it? I bet not. But before I bet on this, I should bet on whether or not the youth in the United States could do what is really called for with the Bernie Sanders phenomenon – and this is have a Tahrir Square in the United States, where the post-revolution (all right, let’s call it reform) would work – where a revolution is worth the effort. 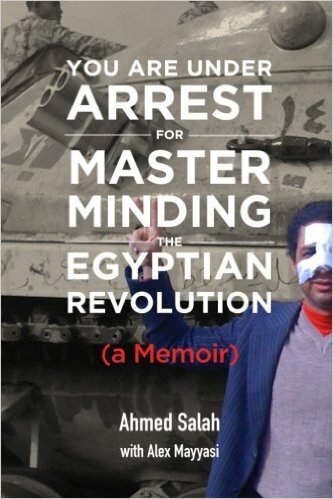 What Salah was saying, he said in the title of his book — You Are under Arrest for Masterminding the Egyptian Revolution. 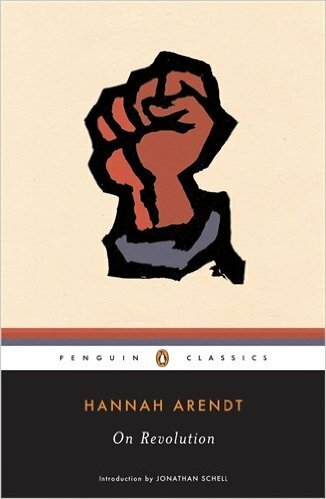 In the United States you might get in trouble for masterminding something, but it would not be a revolution, or a real reform. The Forum’s host, Michael Krasny, an English professor, is a great listener and interviewer who rarely interrupts his guests, didn’t listen. Nor did the call-in listeners pay attention to this fundamental difference between Salah’s experience and what happened in Zuccotti Park (site of the first Occupy Wall Street), which closed when they got hosed out on November 18, 2013 (a hose, not bullets, mallets, or rubber bullets). If the youth want change, they have to stay standing for change. But most important, they don’t need to revolt for a revolution – all they need to do is use the existing political process – our political institutions — to invoke lasting and permanent change – like the real progressives* at the turn of the last century – that is the 20th century. And that is — Tahrir Square, which symbolized the Egyptian revolution, did not fail – the Egyptian political process post revolution failed — in Egypt. Let’s take this apart. First let me start with the conclusion that my older young moralistic person who currently resides in our home saw before s/he was a major (not a minor) – and that is: Why are those in open mike people talking revolution when we already had one. Then, s/he looked at me and said didn’t we? That’s when I told him to read another book. ^Or Bernie Sanders’ Youth Could if they have the staying power. *The real progressives are John Dewey and Walter Lippmann, the latter of whom contributed greatly to the magazine Chris Hughes just ruined – TNR or The New Republic. Shame on him, or them who reign or are the new robber barons from Silicon Valley. This entry was posted in 2016, Bernie Saunders Mobilizes Civil Disobedience, Bernie's Youth(ful) Reformers, Occupy Wall Street morphs into Global Youth Rebellion and tagged 2016, Bernie Sanders, Egypt, Egyptian Revolution, Occupy Wall Street (OWS), OWS, Tahir Squre by Professor Ruth O'Brien. Bookmark the permalink.